Inspired by the Minke whale, the majestic creatures that swim wild off the Atlantic Ocean coastline. 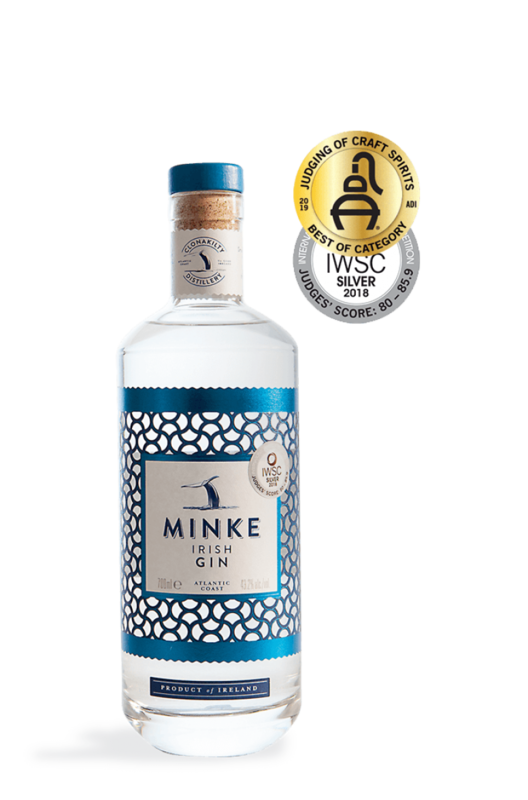 The same local coastline which is home to the unique botanical - Rock Samphire - that gives Minke gin its distinct flavour profile. The Rock Samphire imparts its subtle yet unqiue flavour to this carefully crafted gin giving smooth and sophisticated refreshment with citrus and aniseed notes. Awards and/or Press Quotes Silver Medal at the IWSC 2018 Best International Botanical Gin by the American Distilling Institute & Best of Category – Certified Craft Distilled Spirit – International Signature Botanical Gin 2019.